Nairobi Bottlers is Kenya’s largest bottler of Coca-Cola range of products. 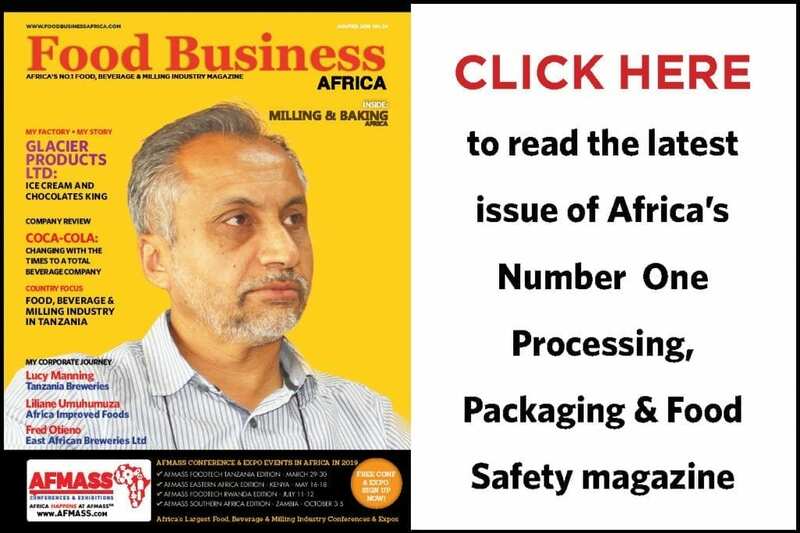 The company has recently invested aggressively in its processes, packaging and people, thereby improving its efficiency, competitiveness and sustainability focus.FoodWorld Media had a discussion with Duncan Kimani, the company’s Country Manufacturing Manager – Kenya and his team. 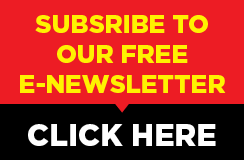 “We are investing ahead of demand,” Duncan Kimani declares, as we sit down in his office at the company’s plant located near Jomo Kenyatta International Airport in Nairobi, Kenya. In Eastern Africa, Nairobi Bottlers is the poster child of Coca-Cola’s ambitious goals of investing in Africa. 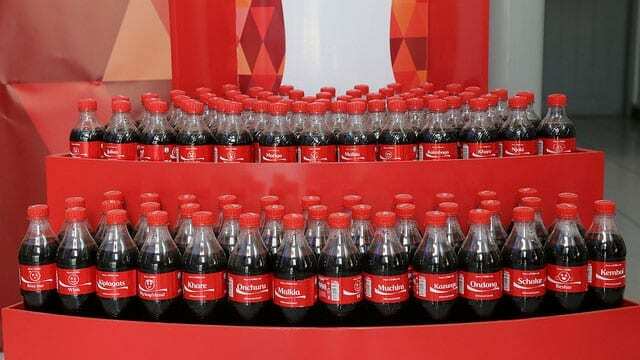 Coca-Cola and its bottling partners plan to invest US$17 billion over the 10 years to 2020 in Africa, upping the stake by US$5 billion in 2014, from an original target of US$12 billion announced by Coca-Cola in 2010. It is this huge ambition by Coca-Cola that Nairobi Bottlers seeks to realize, as growing population; urbanization and incomes drive growth in beverages consumption in the region. Part of the Coca-Cola Sabco, the South African based bottling group which is Coca-Cola’s bottler in 7 Southern and Eastern African countries including South Africa, Mozambique, Ethiopia, Uganda, Namibia, Tanzania and Kenya, Nairobi Bottlers is the biggest bottler in Kenya, producing up to 50% of the total carbonated soft drinks and water produced in Kenya by Coca-Cola’s bottling partners. 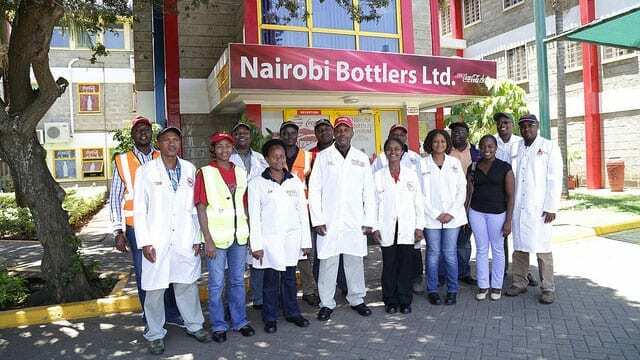 Nairobi Bottlers Limited (NBL) has been significant contributor to the Kenyan economy since 1948 when operations began in Nairobi under Coca-Cola Management on inception. In 2013, in-line with the company’s import substitution strategy to locally source raw materials, it commissioned its own Preform Manufacturing Plant, based in Umoja in the Eastern part of Nairobi. NBL’s total capital investment over the last 3 years exceeds Kshs.15 billion (US$150 million) on capacity, fleet, and cold drink equipment amongst other facility upgrades. The company is jointly owned by Coca-Cola Sabco and Centum Investment Company Limited, a locally owned company which is listed on the Nairobi Stock Exchange. “Kenya and indeed Africa is in the growth phase. We have seen the middle class grow, and with this growth customers begin to ask for diverse range of products, which from a Coca-Cola perspective is our area of strength,” Kimani informs us, adding that the company has been adding extra capacity to meet this rising demand, most of the time ahead of the curve. Changing retail environment in Kenya, with the recent entry of global chains including KFC, Game (Walmart), Carrefour and Pizza Hut among others has also been a good indicator of the rising potential of the country, further boosting the company’s confidence in investing in its capability, according to Kimani. “The last few years have been a period of growth for us, investing towards enhancing our capacity, with the company investing ahead of demand. During this time we have put in a glass line, two polyethylene terephthalate (PET) packaging lines for plastic soda and our water brand, Dasani,” notes Kimani. “We have also set up a technical training center in the last year to boost our own capacity on technical training, but which will also feed into the market in to the longer term,” he adds. The company is focused on taking advantage of its strengths in its people, processes and the Coca-Cola system to ensure that the investments deliver on the goals, further delivering value to its shareholders and customers. “One of our key strengths is the huge investment we have made in our people. We have very good people in our organisation as a result of our investment in our people’s capabilities, looking through the company right from the sales organisation to the supply chain organisation that puts together procurement, planning, manufacturing and logistics. Secondly, the great partnership we have with the distributors, who are business people in Kenya has been another key strength for us; enabling us to avail our products to the customers in an affordable and faster way. Third is the strength of the Coca-Cola brand, which has helped us to leverage our brand in Kenya,” says Kimani. To this end, the company has invested heavily in building the human capacity of its managers and shop floor staff, making sure that the right skill sets are introduced to them on a regular basis, according to anticipated company needs. NBL’s portfolio includes beverages in nearly every category of soft drinks. The company has 120 active Coca-Cola beverage varieties, 82 of which are produced internally while 38 are manufactured by outside partners. It offers still beverages (water and juice beverages), carbonated soft drinks (CSD) and diet/light products, which are made without sugar. Common CSD products produced by NBL include Fanta, Coke, Sprite, Krest, Stoney Tangawizi and Dasani bottled water. The company operates eight packaging lines (5 glass, 2 PET and 1 Premix packaging lines). The packaging lines are capable of filling various pack sizes, ranging from 200ml to 2litres. NBL’s focus on packaging innovation has enabled it to meet a broad range of consumer tastes and preferences. “We have a balanced approach to our packaging options. What we have done is to look at the whole value proposition so as to provide choice to all our consumers. We have had to innovate in packaging to tap more of the marketing needs and meet the consumer segments so that every one in Kenya who wants any of our products, can have it at the right size and the right price,” says Kimani. The two broad packaging formats, returnable glass and single-use PET bottles enable the company to meet different consumer needs. While glass offers an affordable packaging option, PET meets the increasing consumer requirement for trendy, convenient packaging. NBL has seen a significant growth in PET packs, with the company seeing “PET volumes growing from a low of 5% about five years ago to about 25%-30% currently,” according to Kimani. “The adoption of PET has been strong, becoming a key success factor to our growth. It has also served as a base for our innovations, giving the consumers more packaging options such as the recently released 350ml pack,” he says. “The single serves (500ml, 350ml, 200ml) fall into our ‘on-premise’ consumption products. We have the 200ml glass bottle available for Coke and Fanta that caters for affordability, with the range increasing in size all the way to the 2L pack, which is for the economic segment,” he elaborates. NBL has recently introduced a 350ml pack to cater for new market segments. “We realized there was a big gap between the 300ml and 500ml pack sizes. It was clear that our consumers wanted something in between 300ml and 500ml, and from the response so far, I think we managed to meet our consumers’ expectations,” advices Kimani. The company is seeking to expand further in the home serving (the future consumption) category which includes its 1.25 litre pack that goes for KSh 99 (just under US$1.00), which is doing very well in the market, according to Kimani. As NBL invests in its growth, the company has focused on doing more with less in its processes, utilizing the latest technology and systems to deliver quality products to its customers at an affordable price. “We have maintained our pricing in this market for a number of years, and only increased prices this year as a result of the increase in excise duty by the Government. 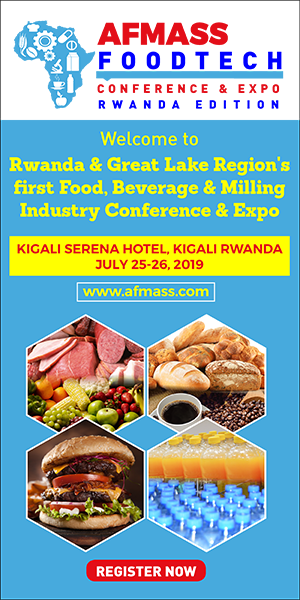 We have managed to keep our prices for long by putting a lot of pressure on the supply chain side of things,” says Kimani, adding that the company is aware of its customers’ sensitivity to price. Kimani maintains that the company has focused on improving its production and supply chain efficiencies year after year so as to deliver value to its growing customer base. “To be competitive in this business is not all about pricing but more about efficiencies. Our system runs on operational excellence program based on Six Sigma, which is ensuring that everything we do is efficient and eliminates waste in the business. We look at utilization of our raw materials and yields in the process and people productivity – we are asking our people to do more with the available resources and to work smarter in delivering their goals. We encourage a culture of continuous improvement – and have put two senior managers to focus just on the area of continuous improvement. On the manufacturing side, we are using Total Productive Management (TPM), which drives our efficiencies in the process,” he explains. For example, the company runs operational excellence projects on the fuel usage of its more than 100 delivery trucks and 180 sales pick-ups. In this area, the fuel ratio is a key focus deliverable, where the company has saved millions of shillings over the years. NBL has been on the Total Productive Management (TPM) journey since May 2011, starting with a sensitization event where TPM and its benefits were introduced to all employees. During the sensitization event, a pilot packaging line was selected where the TPM implementation was carried out, giving the employees an opportunity to experience TPM in practice. “We achieved all the set key performance indicators (KPIs) through TPM on this particular line in 2 years,” says Josephat Kilungu, the company’s Manufacturing Manager. “This was a major milestone that signified the team’s readiness to roll out TPM to the whole plant. We therefore kicked off the TPM implementation proper in 2013,” he adds. According to Kilungu, the company has achieved significant progress in its TPM implementation journey, with Nairobi Bottlers having been chosen as the center of excellence for the Coca-Cola Sabco group. “Through TPM, skills level of all employees have greatly improved through constant trainings and awareness sessions, while their morale has improved over the years. We have improved the plant cleanliness and we now have a more organized workplace through the implementation of 5S. This has also improved the plant’s visual management, while we have an increased awareness of defects/waste that exist in the business, with all team members looking out on ways to eliminate them,” he elaborates. TPM has been integrated into the company’s processes. “Everyone in management has TPM in his or her people plans, except the shop floor staff,” he says. Eventually, the company expects the shop floor staff to take the lead in implementing TPM at their stations. Managers therefore had to do a lot of trainings on change management to the shop floor staff. This has improved over the years and he is now confident that they are now better placed to achieve more with TPM. It is now a way of life at NBL, he informs us. The company is currently striving to achieve another great milestone, the TPM Excellence Award, in the year 2018. It will be the second company in Kenya and the first bottler in the Coca-Cola Sabco group of bottlers to get this prestigious award. NBL has over the years won a number of awards organized by Coca-Cola, Coca-Cola Sabco and other industry awards. These include awards related to safety, health, environment & quality; water efficiency; manufacturing efficiency and energy savings. “We have won the Bronze Quality Award, which is an award by the Coca-Cola Company for the East and Central African business unit. We have completed Top Ten energy initiatives, which is an energy management focused award by the Coca Cola Company. Nairobi Bottlers was the first plant in 32 countries to receive this award in 2014 – for which we are extremely proud. We have had many initiatives to ensure we manage our energy also,” Kimani informs us. According to Kilungu, “The awards unify the team around a positive outcome. Awards assist members who are struggling to get along, reminding them that they have achieved a common goal and it has brought the team together. They also show the team that they work for a winning organization. People want to work for winners. One of the greatest morale builders that a leader can offer employees is the knowledge that they work for a successful company. How does the company keep the team on a winning path? “We keep the teams motivated by constantly reminding team members of the company’s vision, hold them accountable to targets and goals, mentor them, and support them in their work through engaging them and recognizing their contribution using the reward system in place,” says Kilungu. NBL is focused on reducing its impact on the environment and reducing the impact of its activities on the community at large. “Environmental concerns remain at the top of our priorities. We have worked on our water sustainability goals quite aggressively. Seven years ago we were using about 4.5 litres to produce a litre of beverage, which we have lowered by half to 2.4 litres. As much as we are in Africa, we have to look at the future, and the water utilization goal is key to delivering this sustainability agenda,” says Kimani. The company has approved vendors who recycle its paper and glass waste while it also recycles its own virgin PET material from the lines that are not contaminated through its PET production facility that is located in Nairobi. NBL is confident that a rising economy in Kenya provides a good incentive for the company to invest further in its capability so as to take advantage of the rising middle class. “Over the next 3-year horizon, we are looking at investing over US$100 million in Nairobi Bottlers only, not including the other bottlers in Kenya and the region. That’s a very strong statement, showing our confidence in the economy and the growth trajectory. We see a lot of opportunities in the horizon and are investing ahead of the curve,” says Kimani confidently. The company is already in the process of building a new set of warehouses and investing in new product lines, not forgetting its core category, the carbonated (sparkling) soft drinks. “For us the sparkling business remains our core, leading our category growth, but we need to provide alternatives that will grow faster than the core. In these new categories, we shall register double-digit growth; in the existing core business, we shall grow but not as aggressively as the new categories. This approach will help us to have a balanced product portfolio,” he narrates. In terms of new products, Kimani says that the company is looking at expanding the malt category where the company’s Novida brand plays and is planning to introduce new juice products. Other probable product lines include dairy and other beverages including tea and energy products. In terms of the company’s progress, Kimani says that they are ahead of track on the company’s Vision 2020, which targets delivering 65 million cases by 2020. One of the focus areas the company is looking at is offering alternative beverages that give the consumer more healthier options. “We have up-scaled our water capacity, with Dasani growing in double-digit figures. Over the next year, we are investing over US$60 million into different capacity enhancements, including tapping into the juice arena, and building extra capacity in this segment. We are looking at expanding our range of nutritive products to meet the goal of Coca-Cola to be a total beverage company, globally, Mr. Kimaniconcludes. NBL is aware of its mandate to take care of the environment and the community within which it operates, together with Coca-Cola. Through the 5 by 20 Women’s Economic Empowerment Initiative, over 11,000 women have been given the opportunity to establish and manage their own businesses across the country. Through the water stewardship arm of its sustainability agenda – the Replenish Africa Initiative (RAIN) – the company has successfully implemented community water projects in Kenya, focused primarily on providing access to clean water and sanitation, hygiene education and sustainable water sources to contribute towards meeting the United Nations’ Millennium Development Goals (MDGs) for water and sanitation access. The company remains committed to economically empowering women and the youth; promoting health and hygiene in communities, schools, and health centers; and returning water to nature and the communities in which it operates. As a responsible corporate citizen, NBL is committed to contributing to economic growth in Kenya, and supports the Government’s effort in creating an enabling environment in which all industry stakeholders can operate effectively and efficiently. In January 2015, NBL partnered with Krones (equipment manufacturer) and Centurion Systems (training solutions provider) to develop the Centre of Excellence for the Food and Beverage Industry. The company has realized that there is a huge need for the right technical skills for the industry, and instead of complaining, decided to work with its partners to develop these skills, with a goal of impacting the entire industry. “We have realized that a lot of graduates we are getting do not have the plug and play skills we are looking for. This program intends to bridge the gap in engineering within the workforce and avoid skills-mismatch, while providing employment to over 350 technicians after training,” says Duncan Kimani, the Country Manufacturing Manager, Kenya. “Through our partnership with Krones East Africa and Centurion Systems we have been able to close gaps in our maintenance team on PLC trainings and pneumatic trainings which we do not have the capability and equipment to train. This part of the training is offered at Centurion Systems. We have also been able to do basic electrical skills training at Krones East Africa, which is our partner in this aspect. The synergy we have developed will deliver trainees with all-round technical skills required by ourselves and the entire industry,” the company’s Capability Development Manager, George Ng’ang’a, who is responsible for the Centre informs us. The Center of Excellence has developed Innovative apprentice curriculum for mechatronics technicians aimed at raising the standards of engineering training in Kenya. The program consists of a 2yrs ‘apprentice’ program in mechatronics at a “master” technician level in which Diploma holders from TVET institutions are admitted. The program incorporates theory and practical training modeled alongside the South African and German technical training system creating a world-class Skill development entity in which other local companies can draw. “We are offering opportunities to technical institutions students to undertake technical modules at no fee thus increasing their employability and availing trained technicians to industry,” says Ng’ang’a. “The Center of Excellence will help to develop talent pipeline for the industry and generally avail the technical skills required to propel the country towards the Vision 2030 goals,” Mr. Ng’ang’a concludes.